CARHA Hockey has some great SWAG that you can purchase for your tournament, team, league, executive board, or even just for yourself! 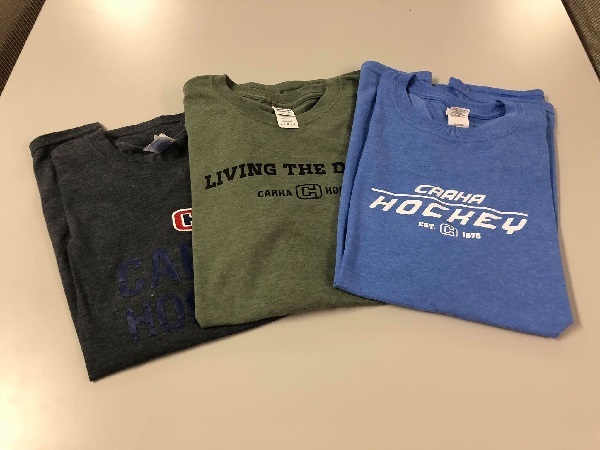 Three CARHA Hockey shirts for just $15 - just in time for summer! Check out the items below and give us a call at 1 (800) 267-1854, or email Shannon! Note that sizing may be limited on all items, please contact us for more information.